Desert Highway, an Eagles tribute band, kicks off the weekend at the Levitt Pavilion with a free concert on Friday, Aug. 1, at 8 p.m.
A tribute band playing hits of The Eagles, bands pounding out acoustic rock and Delta blues, plus a performance by three female vocalists highlight free shows this weekend at the new Levitt Pavilion for the Performing Arts. On Friday night, Aug. 1, Desert Highway will play "Take It Easy," "Hotel California" and other Eagles hits during a show that begins at 8 p.m. at the new downtown concert venue. 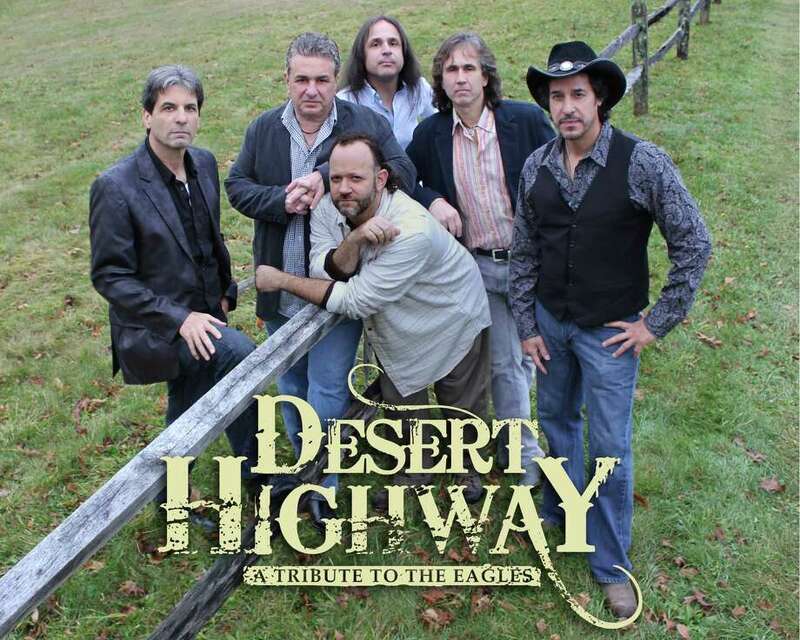 Desert Highway includes six studio and concert-tour musicians who have performed with A-list entertainers, the Levitt said, and they replicate The Eagles harmonies and guitar styles. The band recently played to a crowd of 5,000 at Jones Beach on Long Island. Two Fairfield County bands -- Otis & the Hurricanes and The Mill River Band -- perform Saturday, Aug. 2, in what the Levitt is billing as an 8 p.m. "dance party." Otis and the Hurricanes play a mix of Delta blues, New Orleans funk and rock 'n' roll, fronted by lead singer/guitarist Chris Cross, the Levitt said in a news release. According to the band's website, it was voted Fairfield County's best blues / blues-rock band in Fairfield Weekly reader polls in 2007, 2009, 2010 and 2011. Sharing Saturday night's bill, the Mill River Band plays a mix of acoustic rock, country blues and western swing, according to the release. The six-member group features veteran musicians who communicate and make mid-song adjustments with simple nods, the Levitt said. Three area female singers will perform Sunday night, Aug. 3, in a free show the Levitt has billed as "Divalicious." The 8 p.m. concert will include cabaret, jazz, Broadway tunes and classical favorites, the Levitt. The featured "divas" are Broadway veteran Terry Eldh, Leslie Orofino and Jodi Keogan in a program arranged by musical director David Wolfson. Eldh played Carlotta in the Broadway production of "Phantom of the Opera" and will sing show tunes at the Levitt. Orofino, who has performed at New York's Algonquin Room, will sing cabaret and jazz standards, the Levitt said, while soprano Keogan will perform classical and Broadway songs. The Levitt said it plans shows next week on Tuesday through Friday, but the lineup had not been confirmed by press time, except for Friday's 8 p.m. performance by Grammy-nominated Professor Louie & The Crowmatix. Professor Louie & The Crowmatix play a mix of rhythm and blues and rock, and have collaborated with The Band, the Rock `n Roll Hall of Fame group. On Wednesday, a children's show is planned at 7 p.m. but the performer was not confirmed.